Anybody who has watched Channel 4 over the past month or so know that they have acquired the rights to the Paralympic Games and will present live coverage later this month. It is the BBC though who have commissioned a single drama looking at the intriguing story of how these games were first conceived by a German doctor working at hospital during World War 2. His idea was to give men with spinal injuries a purpose and one of his methods was to have them compete in a number of different sporting events a concept which grew over the years into an event which will, in 2012, see over 4,000 athletes from 147 countries compete. The doctor in question was Dr Ludwig Guttman (Eddie Marsan) a pioneering spinal surgeon who hasn’t been able to practice since the war destroyed his beloved Germany and has now been drafted to a military hospital in Stoke Mandeville to treat the patients there. When Guttman arrives however he finds a ward where the curtains are never opened and the patients are regularly sedated two policies that he quickly overturns infuriating the men and the staff alike who don’t like their routines to be disturbed. Guttman soon discovers that these men are simply placed in the ward to rot away until they finally die so he resolves to try to give them their lives back and also wants to demonstrate that all of them have a future. His new agenda initially doesn’t sit well with well long time ward stalwart Sister Edwards (Niamh Cusack) who along with trainee Nurse Carr (Leigh Quinn) moan about him regularly but as time wears on they begin to get used to him. Guttman continues to demand more supplies from hospital head honcho General Blake (Nicholas Jones) and steals the surgery of the snooty Dr Cowan (Richard McCabe) to actually operate on the patients in his care. He also brings in entertainment in the form of The Windmill Girls, takes the lads down the pub and hires Sgt ‘Q’ Hills (Tristan Sturrock) to get the men back into shape. As well as telling Guttman’s story The Best of Men also focuses on two of the patients firstly the young Private William Heath (George MacKay) who was blown up on his second day of active service and arrives at Stoke Mandeville wanting to die. William still has images of dancing the jitterbug with his sweetheart Ruth however he realises that he’ll never get her back and as he tells Guttman he never really had a chance to know what he wanted to be. William initially hopes that he’ll be able to walk again however Guttman informs him this isn’t possible but tells him he’ll be able to live a full life nonetheless. We are also introduced to the ward joker Corporal Wynne Bowen (Rob Brydon) whose sarcasm and one-liners regularly irritate the rest of the patients especially when they realise that he will no longer be sedated. Though Wynne is married he feels he is less of a man since he lost the use of his legs and doesn’t want his wife to visit him eventually deciding to divorce her as he doesn’t think he’ll be able to perform sexually. Both William and Wynne both end up being part of Guttman’s first National Wheelchair Games, which take part in the grounds of the hospital, and as we know now they were all pioneers. I have to say I really enjoyed The Best of Men though it did have a slow start I believe this was necessary in order to introduce the characters and give us some insight into their lives. Writer Lucy Gannon, who previously created medical dramas Peak Practice and Bramwell, creates a claustrophobic environment on the spinal ward which is dark and gloomy until Guttman brings in both literal and figurative light into their world. The scenes in the small ward are perfectly counter-balanced by those in which the men are allowed outside onto the green and eventually into the town with the close-up intrusive nature of the cinematography in the opening scenes contrasting with the wider exterior shots. Though you know where Gannon’s script is going she creates characters that you are emotionally invested in throughout and also keeps the tone fairly light due to Guttman’s offbeat persona and Wynne’s constant one-liners. The drama also looks at people’s pre-conceived notions of the disabled notably Dr Cowan who sees them almost as freaks and feels they should be locked away rather than be allowed to compete in sporting events while William’s parents want to be him in an old folk’s home rather than let him continue to live a full life. I’ve always been a fan of Eddie Marsan’s work and here he excels as this good-natured man who sees himself as someone who helps people get better rather than just continue to sedate wounded patients until they eventually die. His constant campaigning sees him clash with fellow doctors and later he tries to ensure that some of his more able patients will be able to secure homes once they leave the hospital. Marsan is completely compelling in the role and also delivers a faultless German accent so much so that you believe he’s a native rather than an actor who was born in Stepney. My only complaint about the character is that Gannon only paints him as a saviour rather than someone who has weaknesses as well as strengths. For example I think she could’ve focused more on the fact that he neglects his family in favour of spending time on the ward and the strain that that causes in his relationship with his wife (the criminally under-used Tracy-Ann Oberman). There’s also little backstory given of why he fled from Nazi Germany apart from him mentioning to Sister Edwards that the Germany he loved is no longer there. It’s also good to see Rob Brydon in a role that sees him combine both comedy and drama although he’s demonstrated pathos in the past, most famously in Marion and Geoff, his character is a man who uses humour to mask his emotional pain and for me he almost steals the show away from Marsan. Apart from William and Wynne none of the other patients really get any type of screen time only popping up in montages or when someone needs to be on hand to throw an insult back at Wynne. 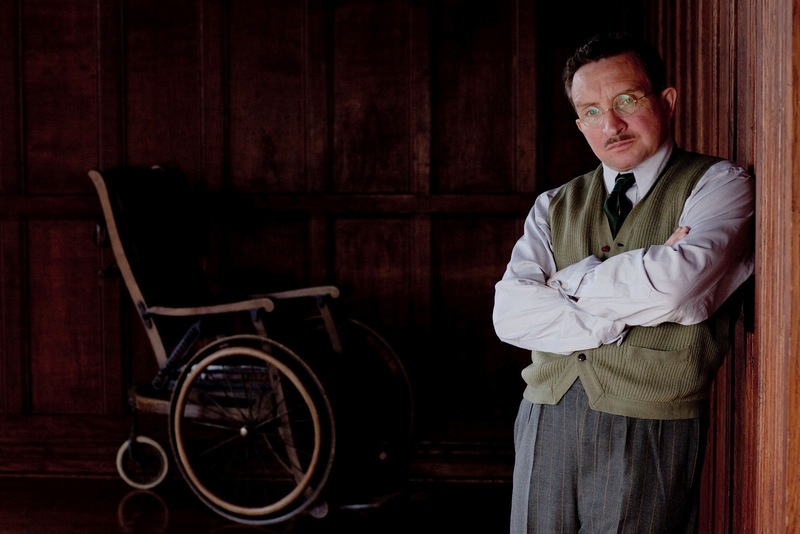 If the characters of the patients are in fact real rather than just amalgamations of men that Guttman treated I felt it would also be good to find out what happened to them once they left Stoke Mandeville hospital. Overall though this was a fascinating drama shedding light on the origins of an event that has grown enormously since wheelchair-bound men from around the country came to the grounds of a hospital to throw a javelin or shoot an arrow. Gannon’s script beautifully combines comedy and drama with an intriguing story that never feels over-stretched while at the same time gives us characters that we care about. 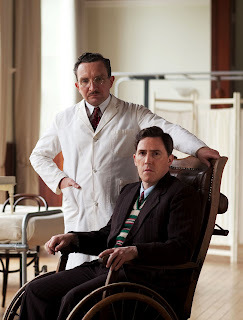 The performances, especially those from Marsan and Brydon, are spot on while the camera work also adds to the overall feel of the drama as does the period detail. There are few issues namely that everything is completely black and white, our characters are either heroes or villains with very little in between, while I feel some of the supporting roles could’ve been fleshed out a little more. I personally feel that The Best of Men is far superior to the BBC’s previous, and much more-publicised, Olympic drama Bert and Dickie which I found a little weak. The Best of Men is a testament to the fore-fathers of the Paralympics and is a must for anyone who wants to learn more about an event which is becoming more popular every year.